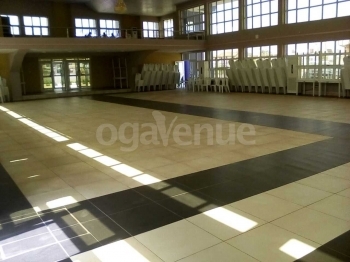 Q: What type of chairs does Adebimpe Event Centre provide? Q: What type of tables does Adebimpe Event Centre Provide? Q: Does Adebimpe Event Centre provide power? A: Yes, we provide maximum of 8 hours constant generator power supply for all events. Q: Is there parking space at Adebimpe Event Centre? A: Yes, there is. We have a fairly large compound which can contain a good number of cars. Q: Does Adebimpe Event Centre provide security? Q: Does Adebimpe Event Centre have Restrooms? Q: Does Adebimpe Event Centre allow you bring in your food and drink? 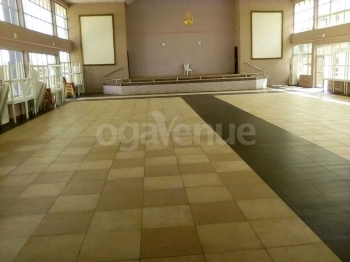 Q: What type of flooring does Adebimpe Event Centre have? Q: Does Adebimpe Event Centre allow external Decorator? There are no reviews for Adebimpe Event Centre yet. Sorry, not available at Adebimpe Event Centre. Kindly check out other available dates or check out other venues in Oshogbo that match your requirements.